Our firm provides a wide array of income and business tax services to individuals and businesses, including limited liability companies, partnerships, trusts, estates, corporations, and individuals. We also prepare franchise, property, sales, estate, fiduciary and gift tax returns for our clients. Because of our close working relations with our clients and advisory teams, we are able to help shape the policies that minimize tax impact and maximize high dollar retention. Analysis at end of year to anticipate tax implications and plan for the best possible outcome. Consider impact of purchasing assets, paying bonuses, funding profit sharing plan contributions, etc. Personal income tax projections and planning for anticipated liability or refund and also timing for income and deduction items. Preparation of Federal and State tax returns for corporations, limited liability companies, partnerships and individuals. Preparation of other business tax returns, including quarterly and annual payroll tax returns, property tax returns, sales tax returns and information reporting returns. We provide analysis and recommendations for current tax situations and suggest strategies that anticipate future tax implications. Specifically, we provide estate planning services by offering guidance in structuring the estate in order to conserve assets and untangling the estate administration process. In addition, we will evaluate a tax-oriented investment for its tax implications and economic substance. Accounting for irrevocable trusts and estates. Preparation of fiduciary tax returns. Prepare accounting records for activity within the entity and accounting for beneficiaries. Income and principal distributions after death. Distributions to children and/or grandchildren after death. Medical and durable powers of attorney. Confer with clients and attorneys to assist in the planning process. Preparation and filing of estate tax returns. Based on assets and liabilities at date of death. Assist with funding and administration of various trusts. Monitor ongoing reporting requirements and assist with same. Analysis to assist in choosing a plan. Assistance in implementing a plan. Financial statement audits for plans. 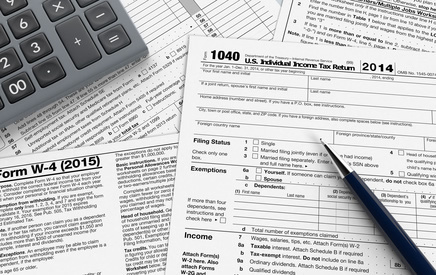 Prepare annual plan tax filings.